"Awesome! Overall challenging and concepts well presented. 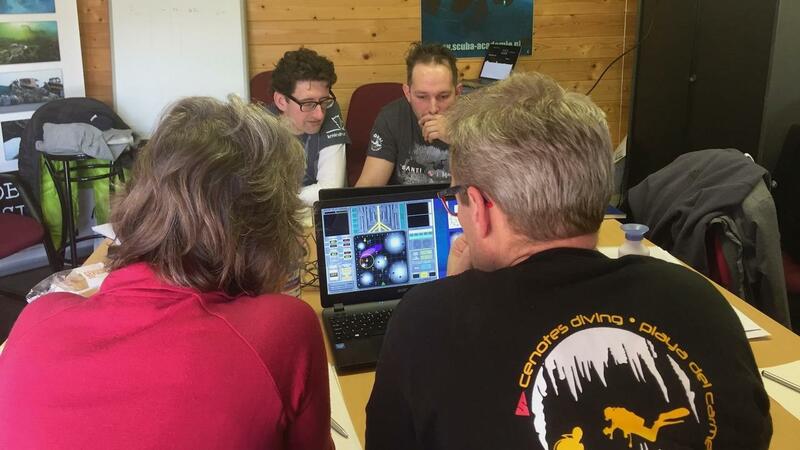 Learning team and personal behaviours under pressure and areas to watch for improvement is invaluable"
This course will be run at Scuba Acadamie, Vinkeveen. Places limited to six people for quality and experience reasons. Course start time is 08:45 on each day. Finishing 17:30 Saturday, 17:00 Sunday. Refreshments will be provided. Lunch will be from a local cafe/restaurant/take-out/bring your own. The course fees for this class are €600 and this includes course handouts (digital and hardcopy), course completion certificate, briefing/debriefing guides and four coaching emails post-course. There are two parts to the pre-course work. Firstly, you will be subscribed to the online micro-course which allows you to get a better understanding of some of the theory presented in the class. It is arranged in 9 modules of around 15 mins each so you can spread that out over time. Undertaking the online class allows some of the theory from the main class to be removed and more time devoted to the direct application and improvement of human performance. This class costs $99 if purchased separately. The second is to complete an 18-minute computer-based training session online which will be sent to you with four weeks to go. It is essential that you complete this a few days before the class as it contains useful information about how the simulation software is operated. I will send you all an email reminder a few days beforehand just to make sure things aren’t forgotten. - GemaSim familiarisation/orientation mission (Details about GemaSim and why I use it are here and here). - Situational awareness. What it is, why we can lose it and how we know we’ve lost it. - Decision making. Skills-based decision making, rules based decision making and knowledge based decision making along with the biases and failures we have because of these. - Complex case study discussion. - Communications. A number of different communication models are described and practiced. - Teamwork. Describing effective teamwork and the phases which each team goes through and how to accelerate that process. - Leadership & Followership. Describing and discussing the role of leaders and followers within teams and how an understanding of the strengths and weaknesses is essential if an effective team is to be managed. - Stress & Fatigue. How these can negatively impact the above skills in the interdependent of non-technical skills. - Reflective debrief of the whole class and set goals for follow-up emails.